This SOP takes the input geometry and packages it up into an embedded packed primitive. 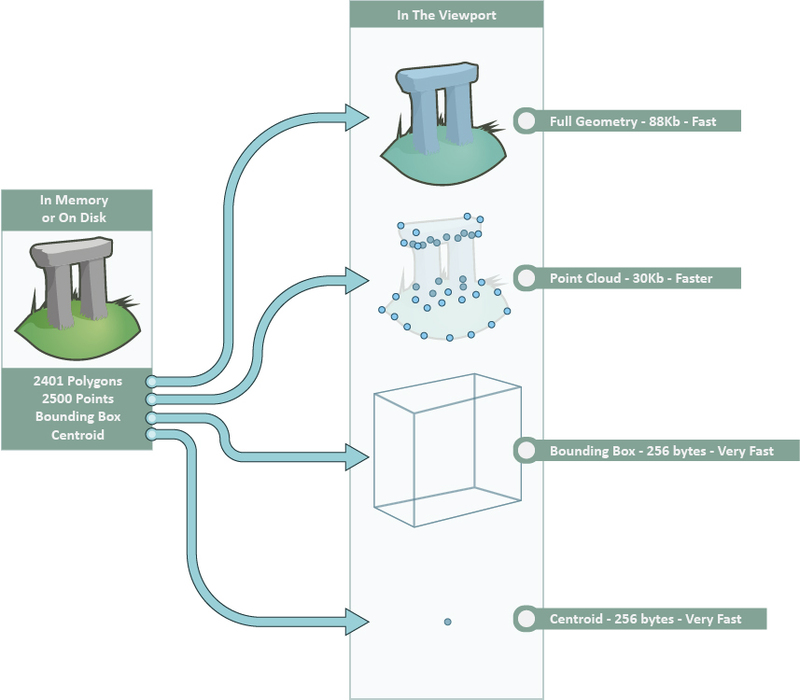 An embedded packed primitive stores a copy of the input geometry as part of the primitive’s data. 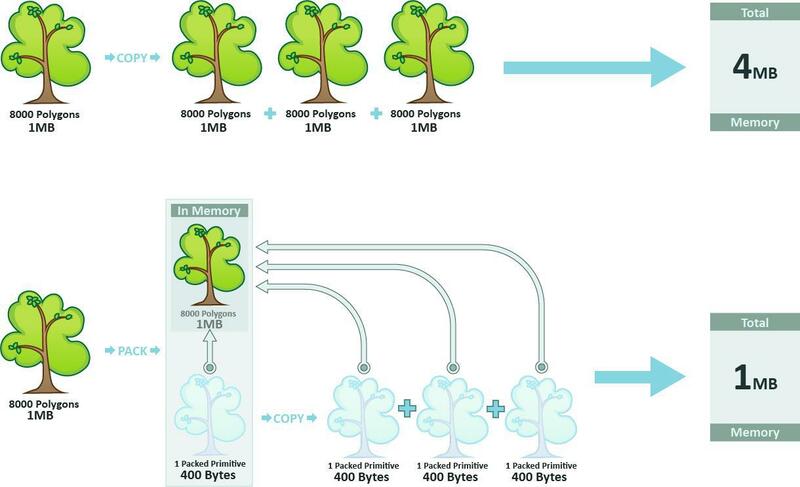 Any copies of the embedded primitive will share the embedded geometry, potentially with significant memory savings. This provides a way of instancing geometry without saving to disk. How packed primitives should be displayed in the viewport. The path attribute value assigned to the newly created packed primitive. If this field is disabled or left blank, no path attribute will be created. The SOP’s geometry is divided into one or more packed fragments. For every unique value of the name attribute, a packed primitive will be created with only the primitives or points that have that attribute value. 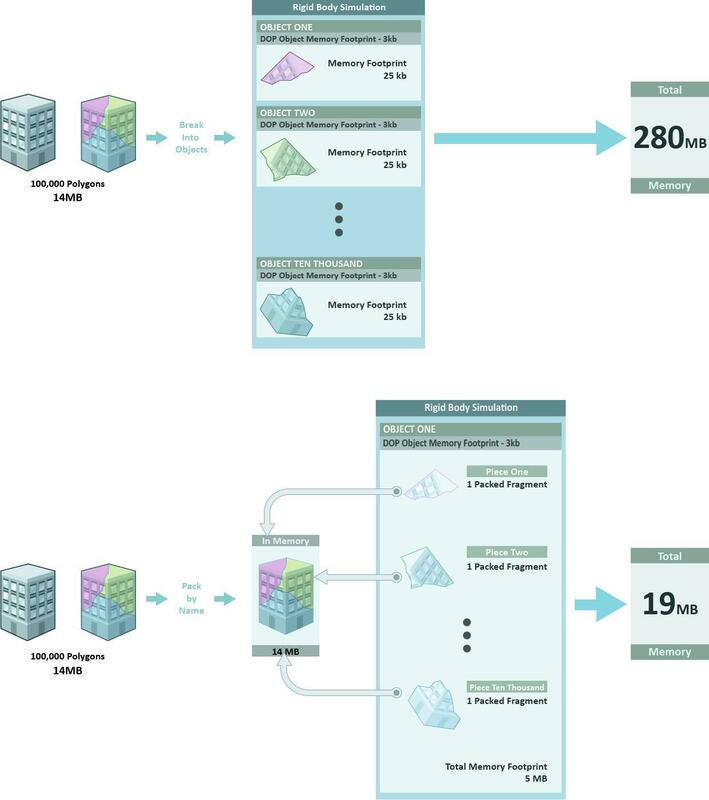 Specifies the primitive or point, string or integer attribute used to identify primitives belonging to each fragment. If a point attribute is specified, only the points will be packed. 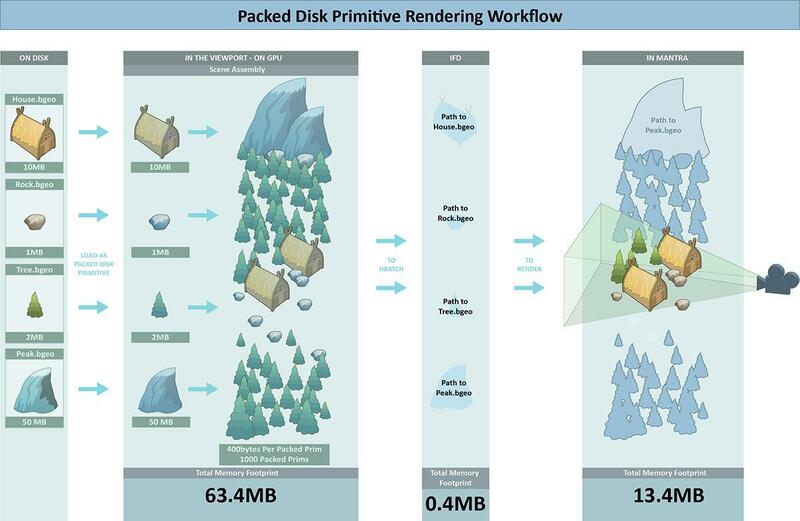 Specifies Packed Fragment primitives should be created instead of Packed Geometry primitives. This only works with primitive string attributes. 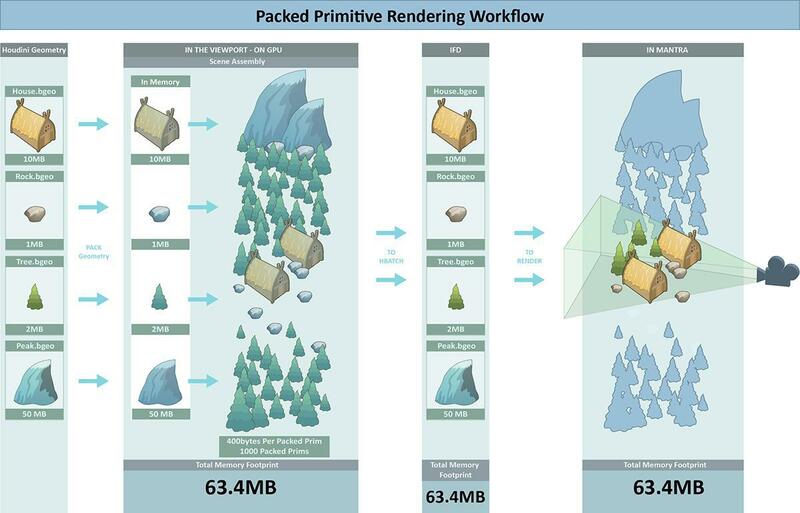 Packed Fragment primitives are more efficient if the final rendered geometry has many unique pieces. Packed Geometry primitives are more efficient if the final rendered geometry has many copies of the same piece. Specifies how to initialize the offset for the point referenced by the packed primitive. 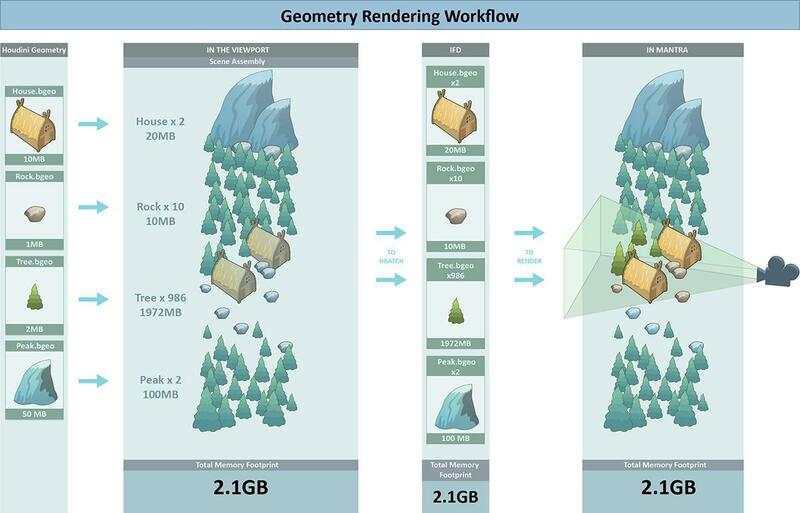 Specifies a list of attributes to transfer to the packed geometry. Specifies a list of groups to transfer to the packed geometry.